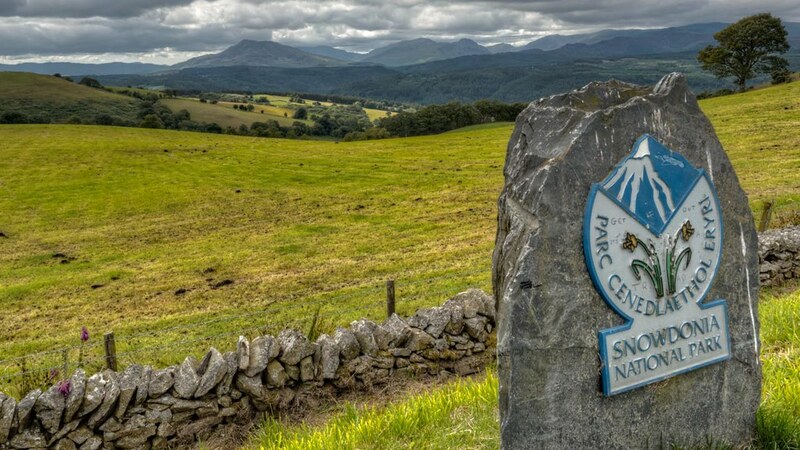 The Snowdonia National Park boasts areas of natural beauty; it’s I shoot most of my landscape photographs. The park has an area of roughly about 838 square miles. Boundary Markers for the park can be seen all over and surprisingly the park not only encompasses the beautiful mountains and rivers I photograph, it also includes farmland and forests. Within the park though there are natural boundaries. Flowing rivers. This one is pretty quiet just now, but when winter and the rains come it will be a flowing torrent. Mountains also act a natural boundaries. Only the fit and sometimes foolish are prepared to tackle them and each year we hear of someone being killed or seriously injured whilst on the mountains. The Llanberis Mountain Rescue Team, who are all volunteers, were called out 34 times in August this year. In total they spent 750 man hours helping people who were in trouble on Snowdon and the surrounding mountains. Have a look at this video showing one of the most dramatic and dangerous walks in Snowdonia, the knife-edge track over Crib Goch. I’ve been walking down at the lake you can see in the video, watching people walk Crib Goch high above me, when the clouds have rolled in, completely covering the summit. Dramatic. I couldn’t do it. Or maybe I should say I wouldn’t do it. I’m not experienced enough and I know my limits. Of course in the park there are also man-made boundaries, gates, stone walls and barbed wire fences. Mainly they are there to keep the sheep in, not the walker and climber out. It always amazes me though when you see a stone wall which almost runs up to the summit a mountain in the National Park. The amount of effort which must have gone into, not only building the wall, but getting the stones there in the first place. Look closely at this photograph you can see the wall stretching into the distance. Fortunately, there are many paths through the National Park and to save damage to the walls, wooden styles are provided for walkers to climb over. Weather of course can act a boundary. Whilst I’m happy to walk up to Cwm Idwal, one of the easiest walk in Snowdonia, I’d think twice about doing it in bad weather conditions or heavy snow. Not entirely true. I have been up there when it was snowing. Not fun and I was glad to walk back down again. Here’s what other bloggers are saying about this weeks challenge. Pay them a visit, you won’t regret it. Wonderful photos! I’m in Ireland right now and was thinking about posting a few shots of the thousands of rock fences for the boundaries challenge, but iffy wifi stopped me-I know my limits on patience! That’s always a problem when you are away from the comfort of your normal environment. You can never rely on services. I always enjoy diving into your shots and their depth and width. Thanks so much for the journey. I’m glad you like the photographs Janet. Sometimes I wonder which ones to show to show each week. so it’s nice to hear that they are appreciated. The scenery and the colors of the last two photos are very pretty. I love the gate. That park really is a wonderland of such varied scenery. It is Yvonne. In the last few years most of my photography has been done in the National Park. Doesn’t matter when you visit, even places I’ve been to before. Light and weather conditions just make for a different photograph every time. And that’s the beauty of photography. Images capture the atmosphere of the Park beautifully, my favourite also is The Gate.